Forget the corporate set up, if you’re gearing up for a special occasion or want to wow your partner on your anniversary, apart from getting the ambience and setting right, there’s one final and major detail that you shouldn’t miss out on and that’s YOU. Irrespective of whether it is your promotion or personal space, it is always good to pay attention to yourself when it comes to your health and well-being and apart from all the healthy diet and exercise that can help you feel healthy from within, don’t forget to look after on what’s on the surface. 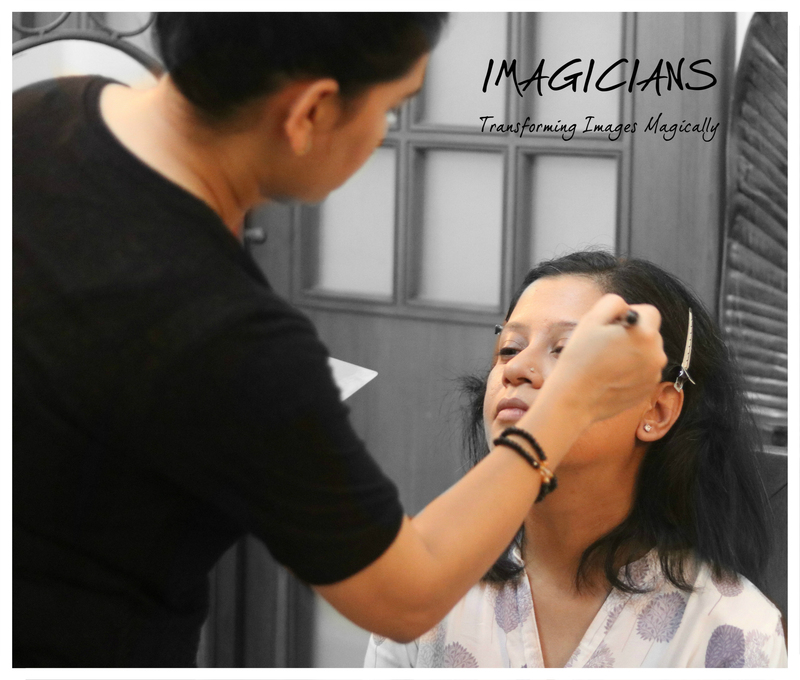 If you’re wondering from where and how to begin, here’s one fantastic woman whom The Lifestyle Portal had a chance to meet for a Cinderella Makeover Session and let me tell you, I’m totally awestruck by the entire experience. There have been times where I’ve been body shamed for being too thin (yes, even thin people go through body shaming). Now I’m body shamed for not being in an appropriate shape because I’ve put on weight after pregnancy. Where does it end? Well, gladly for me it ended with meeting Jasmine Arora, founder of Imagicians. 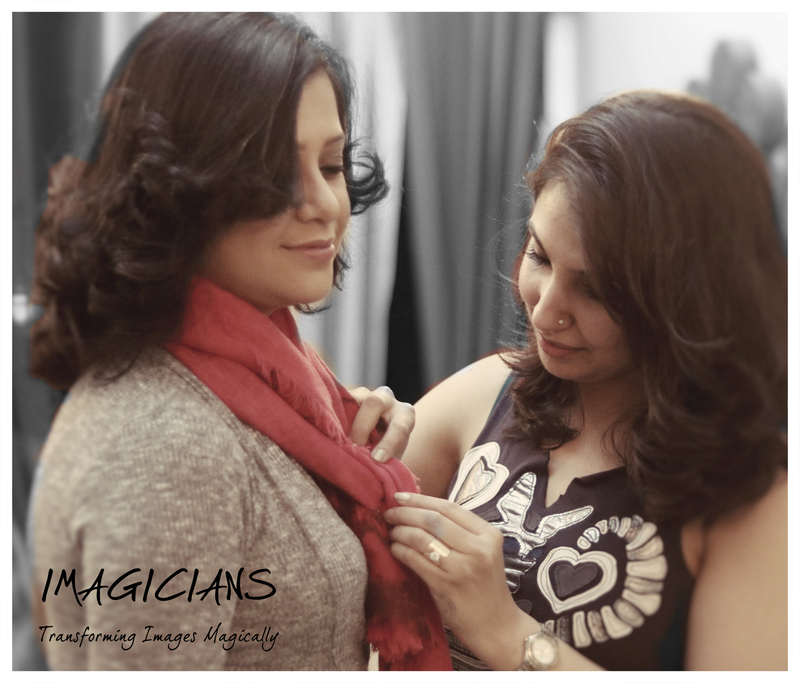 She calls herself the makeover and etiquette consultant but for me she turned out to be the Fairy Magician who transformed me from the ‘inside out’. So here’s my magical ‘Cinderella makeover’ story. I met Jasmine at a time when I was venturing out professionally after a long haul. I was nervous with hundreds of questions going through my mind- will I be able to meet the standards of the outside world? 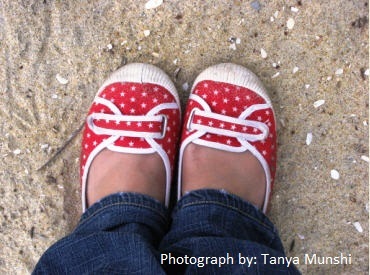 Will people laugh at me with the way I dressed or looked; until Jasmine put all my fears to rest. She made me appreciate the way I looked at my post-natal body in an entirely new dimension. She figured how shy I was because of all the body shaming I’ve been through and took that all around and created something magical out of me – while keeping the essence of who I am all the while. Until now I just bought clothes to hide the ‘flaws’ of my body but shopping with Jasmine was a truly enriching experience. She showed me the correct way to buy clothes and accessories. 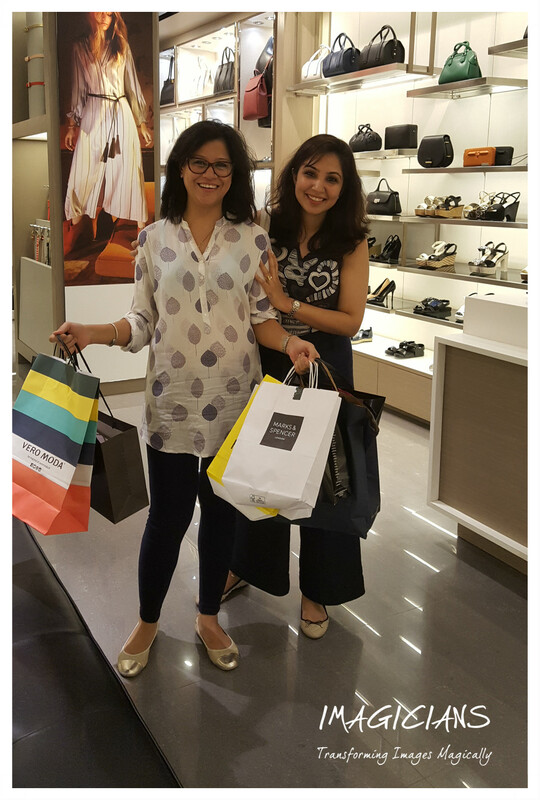 She called each piece I bought and chosen by her ‘an investment’ – and rightly so. She helped me pick up styles and fabrics suiting my body type from different brands. It is with Jasmine I discovered that shopping is truly an art and if you know how and what to buy it does a lot of justice to the hard earned money you spend at a mall. I’m so thankful to Jasmine that I learnt how to shop based on my body type – that truly is a revelation. 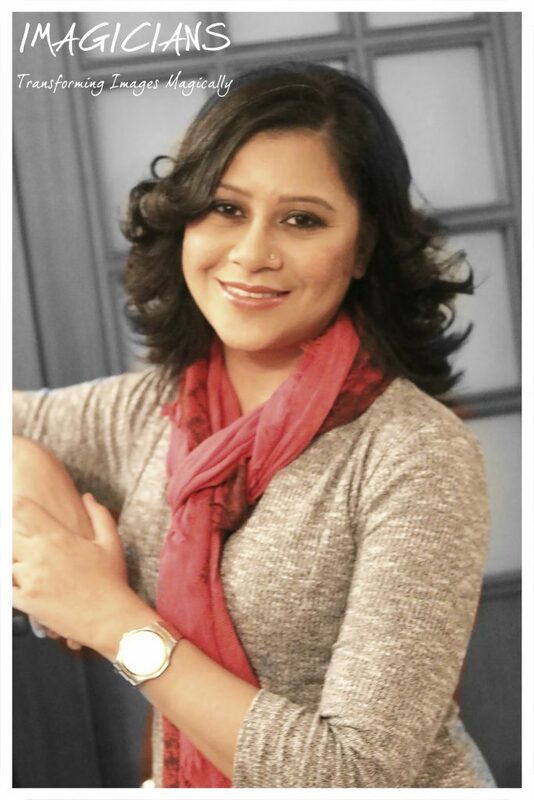 So I tried out some dresses and office wear and she styled me with scarves and accessories which transformed me from a ‘stay at home mom’ to a ‘glam mom’. What I liked about her work is her sincerity, 100% devotion to her work and eye for detail. I could see how for her every client is important and dedicated effort she puts into each project that she takes up. With one look she knew what would suit me the best – somewhere she could even read my mind when it came to an outfit/ accessory. She knew exactly when I was feeling uncomfortable in a certain style of clothing and never once forced me, instead, she showed me other options that I could try which would make me look stunning. It was simply incredible to see the energy with which Jasmine works with her clients. She takes a personal effort on how I would look at the end of the Cinderella Makeover. From 11am in the morning to about 9pm in the evening, this incredible woman was working continuously on the clothes bought to create versatile combinations for me. We head to her home based office by 4pm in the afternoon and after sipping on some exquisite slow brew home teas, she gets to work again with so much energy and enthusiasm. A little while later, enters her empanelled professional makeup artist and hairstylist who starts her work on my hair and face. Bit by bit, she starts the makeup but ensuring not to make my face look all fake and made up. I was simply amazed at their level of professionalism and the perfect understanding they have of a client. I think I can safely say that I felt like a celebrity for the first time – it was all about me, my clothes, my shoes, my face, my hair – the way I looked. No one could take away the limelight that day, it all belonged to me, yay! With me looking like a million bucks, then began a little photo shoot and lo and behold – she created out of me a beautiful woman who was lost somewhere in trying to juggle home and work. Once I looked into the mirror and with the styles and pieces chosen by Jasmine really made a remarkable difference. Immediately I could feel a change in my body language. I never realised it but it’s true that a good fit of clothing can make a huge difference to the way you walk, sit and talk or for that matter present yourself. If you’re wondering whether I met my Prince Charming at the end of it? Well, no, not yet. But for now, I just fell in love with myself all over again knowing just how much more I’m capable of if I just put a little bit more effort and thanks to Jasmine who gave me that extra push and put me on the track. I came back home with a whole new sense of confidence that everyone at home could see. I started stepping out for my meetings and work rejuvenated and this couldn’t have happened without the dedicated effort put in by Jasmine. What is a Cinderella/ Prince Charming Makeover? 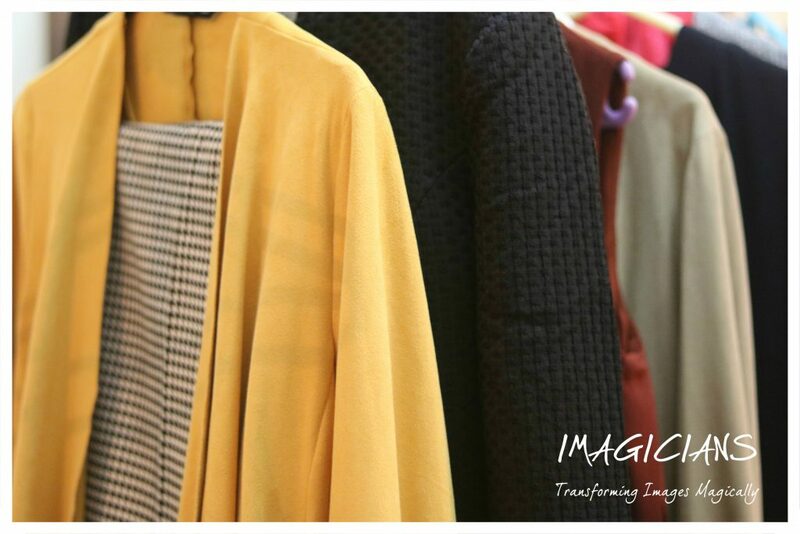 It doesn’t matter if you’re a man or a woman, if you want to surprise your spouse, get that perfect dress code for a board meeting or just give yourself the perfect ‘ego’ boost, we recommend Imagicians – founded by Jasmine Arora – the lady who can help you see yourself in a whole new light. What’s more, you can also surprise your partner on an anniversary or gift your sister a Cinderella makeover for Rakhi or your brother a Prince Charming Makeover – in fact, don’t wait for a season, because you’re the reason who deserves every bit of this makeover curated by Jasmine Arora. For more pictures from our Cinderella Makeover, visit our official Facebook page right here. Nice…! Way to go lady… Keep Up the good work.. Keep Smiling..! Really a great transformation. You truly said that shopping is an art. Thank you, all the credit goes to Jasmine Arora and Imagicians. Thank you Neha! Oh it truly is, it’s a whole new way of rediscovering yourself. 🙂 You must try it.